While never achieving supergroup status, Atlantic Starr was one of the most consistently successful - and underrated - soul bands of the 80s and early 90s, with a basketful of memorable songs that still sound good today. Like many groups formed in the mid-70s, Atlantic Starr was influenced by the self-contained funk bands like Earth Wind & Fire and Kool & the Gang, and the massive initial lineup, consisting of lead singer Sharon Bryant and musicians Cliff Archer, Porter Carroll, Joseph Phillips, Damon Rentie, William Sudderth and brothers Wayne, David and Jonathan Lewis, reflected the times. The group, previously named Newban, was signed with A&M Records -- under the condition that they change their name -- and in 1978 released their debut under the name Atlantic Starr, working with noted Philly guitarist Bobbi Eli. They landed an R&B hit with "Stand Up" and had some success on the Pop and Soul album charts. But when their second album stalled on the charts. A&M teamed them with Commodores producer James Anthony Carmichael - on loan from Motown - for Radiant, a smash album that landed in the Soul top ten on the strength of the hits "When Love Calls" and the stunning ballad "Send For Me." Radiant marked a change in the group's style to a smoother brand of funk/soul and also showed the development of Wayne and David Lewis as songwriters. This began a string of hit albums and singles such as "Touch A Four Leaf Clover" and "Circles" that quietly moved the group to the top of the soul music world, though with surprisingly little crossover success. With David and Wayne Lewis attracting attention (and royalties) as the principal group songwriters and Bryant out in front as the clear lead singer, fissures began to form in the group, coming to a head in 1984 when five members quit, leaving only the Lewis brothers and Phillips. The four remaining members brought in new lead singer Barbara Weathers, a gorgeous and talented young singer who had been groomed for a solo career by the Lewis brothers. The group's prior lack of success on the pop charts, at a time when many top soul acts were successfully crossing over, also led to stylistic changes for the band, beginning with 1985's As the Band Turns. Even as A&M records was dropping the band, the ballad "Secret Lovers," the group's least urban sounding single to date, rocketed up the pop and soul charts, becoming the biggest Atlantic Starr hit ever. The crossover success of "Secret Lovers," for better or worse, created the template for future Atlantic Starr releases, which took on a noticeably more pop-oriented approach. The group signed with Warner Brothers in 1987 and landed their first pop #1 with "Always," a treacly adult contemporary wedding ballad that appeared completely severed from the group's soul/funk origins. Complications and more group tension occurred as Weathers and Wayne Lewis became engaged and arguments about royalties surfaced, ultimately resulting in Weathers quitting the group in 1988. This began a revolving door of female leads over the next decade and a continued degradation of the group's sound and fan base. Success sometimes leads to formula, and, by 1990, Atlantic Starr had evolved into a pop ballad group, with smooth-voiced David Lewis generally handling lead vocals. In 1992, AS scored its last major hit with "Masterpiece," a rather sappy ballad penned by pop writer Kenny Nolan ("I Like Dreaming," "Penny For Your Thoughts"). That the song charted higher on the Adult Contemporary charts than on the Urban charts was telling. The accompanying album, Love Crazy, was commercial disappointment. Atlantic Starr left Warner Brothers for Arista in 1994 and released Time, placing a minor pop hit with "I Remember You," another melodic, formulaic ballad. It was their last major label release. David Lewis left the group in 1997 to pursue Christian ministry. Brothers Wayne and Jonathan Lewis kept the group alive through the remainder of the 90s and into the 00s with a rotating lineup of other musicians, and became staples on the oldies circuit. 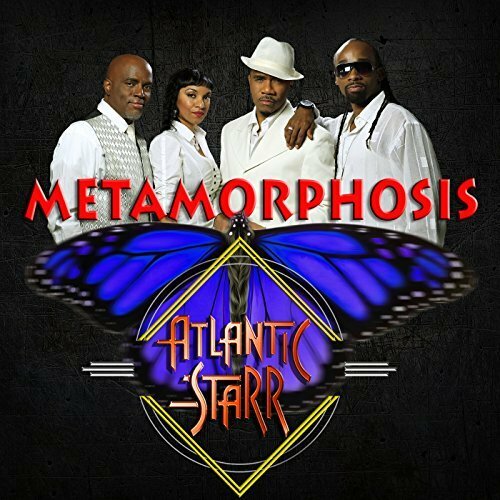 In 2016, after a long absence from the studio, Atlantic Starr, now consisting of Wayne and Jonathan Lewis, L'John Epps and Melissa Pierce, released the album Metamorphosis, which included the minor hit ballad "My Best Friend." While the quality of Atlantic Starr's releases lessened as the group sought to attain wider acceptance, they will be remembered for a solid string of accessible, memorable hits that have generally held up well and that have solidified Atlantic Starr's legacy as one of the more enjoyable soul music acts of the 80s. The fact that they are still touring today is an added treat.